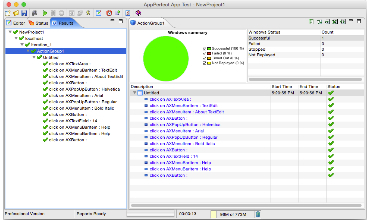 All software are designed and developed to meet and satisfy certain functional needs. A functional need may be technical, business, or process based. 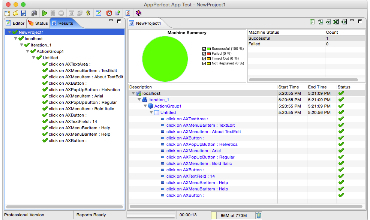 Functional Testing is the process by which expected behavior of an application can be tested. 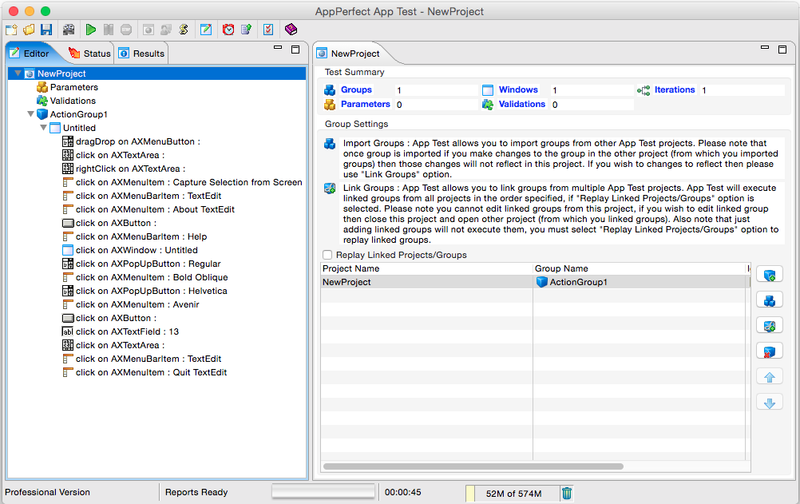 Implementing functional test for your application early in the software development cycle speeds up development, improves quality and reduces risks towards the end of the cycle. Most software undergo changes over a period of time. These changes may occur during the course of a single release, or across multiple releases. Any change to the software increases the chance of errors or bugs being introduced that breaks existing functionality (called a Regression). Regression Testing is the process of frequently re-testing a software to ensure known existing behavior or functionality is not broken. 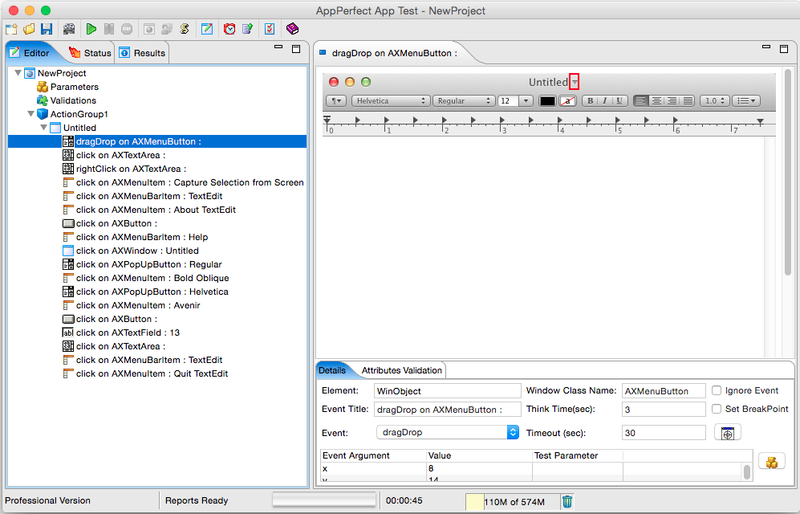 AppPerfect App Test provides accurate recording and replay of Windows/Mac/ iOS /Java GUI events. 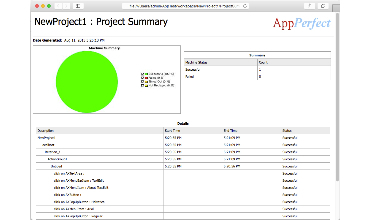 It records all the activities you perform in your application and then plays those activities automatically. It is easy to use with no programming needed. 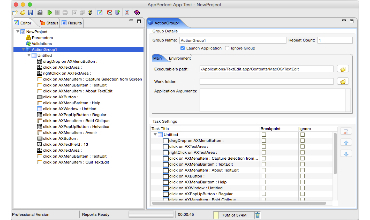 Implementing functional tests for your GUI application early in the software development cycle speeds developments, improves quality and reduces risks towards the end of the cycle. As the size and complexity of applications have grown over the years, it has become increasingly difficult to ensure functional compliance and to ensure no regressions over time. Even a small size project can generate excessive permutations and combinations of test cases that are too big for a human to test consistently and continually. 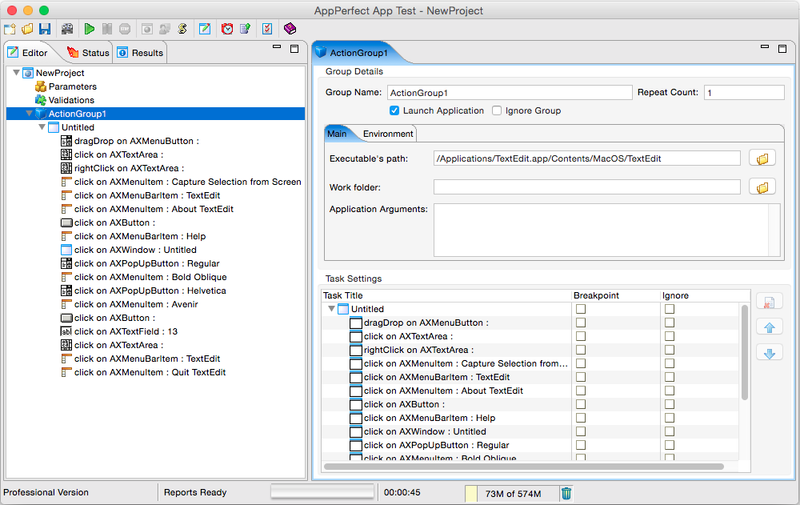 AppPerfect App Test automates this task for you and helps you improve the quality of your GUI applications and drastically reduces the time it would take to get your product out into the market. 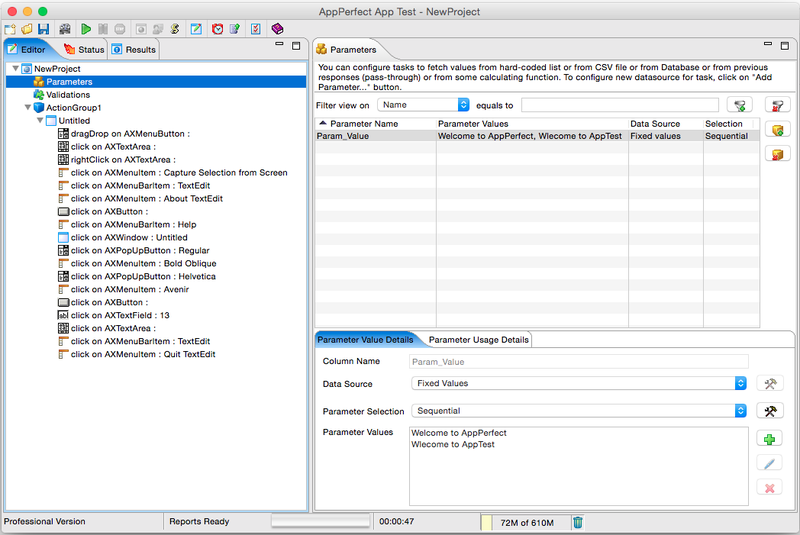 Easy to use Recording functionality: Recording a functional test with AppPerfect App Test is as easy as working with your application. 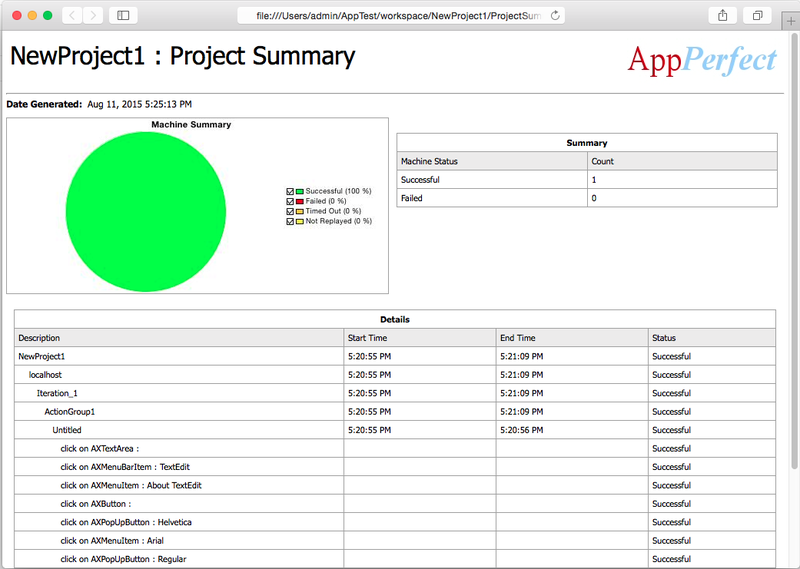 All the actions you perform on your application are automatically recorded. 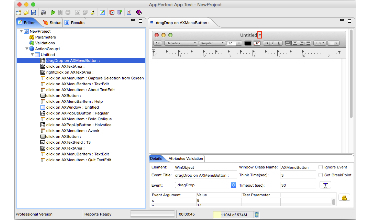 There is no need to learn any proprietary scripting language. 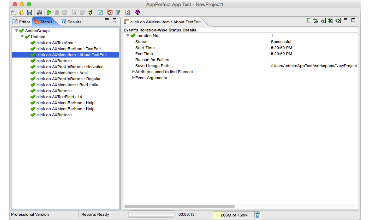 Moreover Recording is component based and not co-ordinate based, which does not break your functional test if position of UI element changes in future. 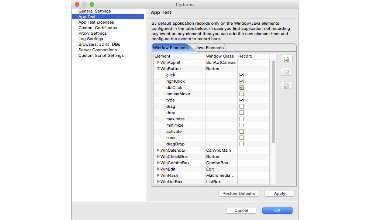 Element-based, not co-ordinate based: It records browser interaction in terms of the actual element, rather than just screen co-ordinates. 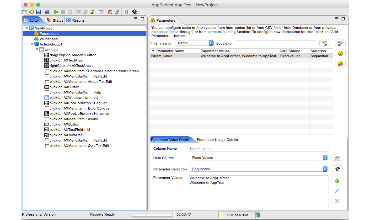 This makes your tests are more flexible and portable across machines, and easier to modify and update. 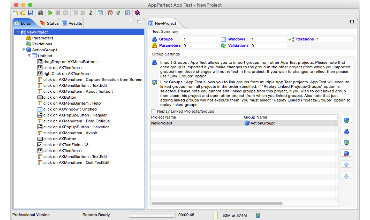 Parameterized Tests: In real world scenario, for any Window-based application, the content shown in UI is not static. In fact, most of the elements accept some parameters as input and then correspondingly show the appropriate customized content. 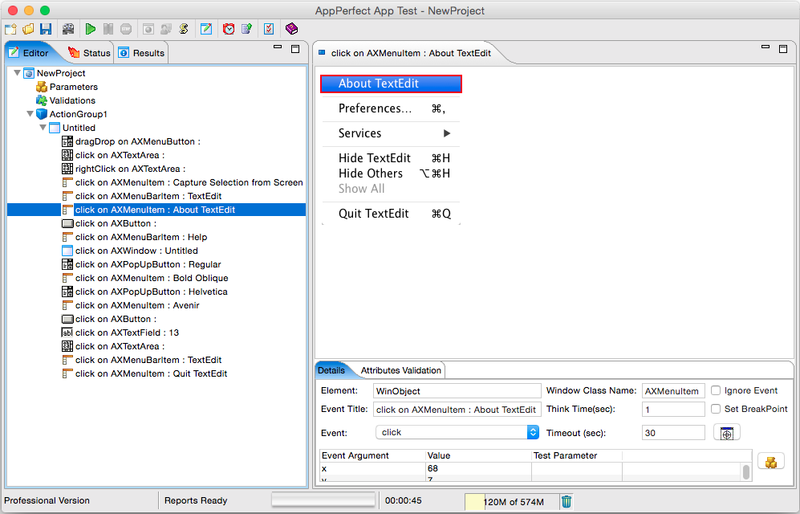 Parameterized functional tests feed these parameters automatically to the test and thus help simulate a more realistic usage environment. 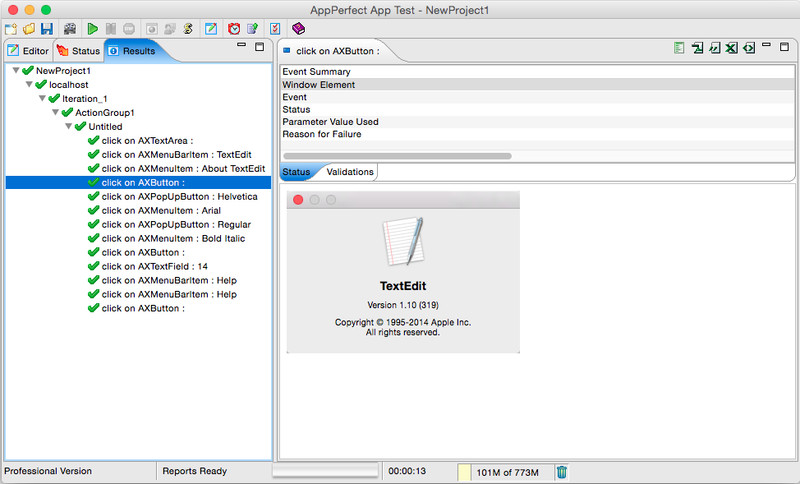 AppPerfect can read values from text files, databases etc. 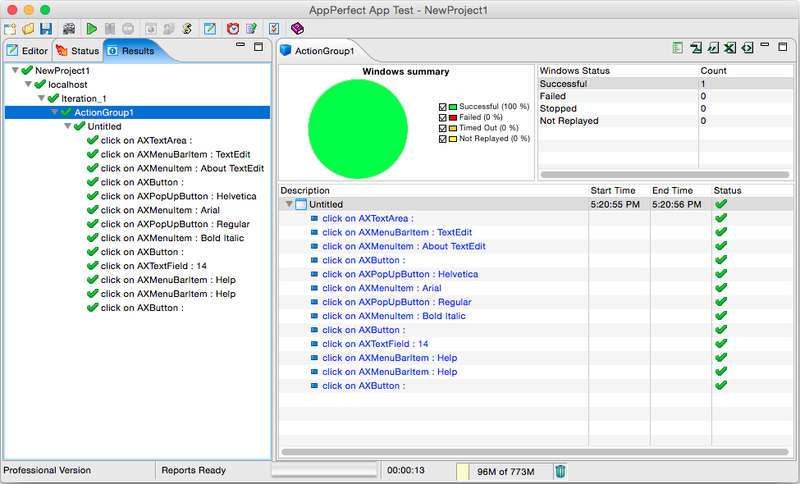 Validation: AppPerfect App Test supports validation for Window/Dialog elements and their properties. 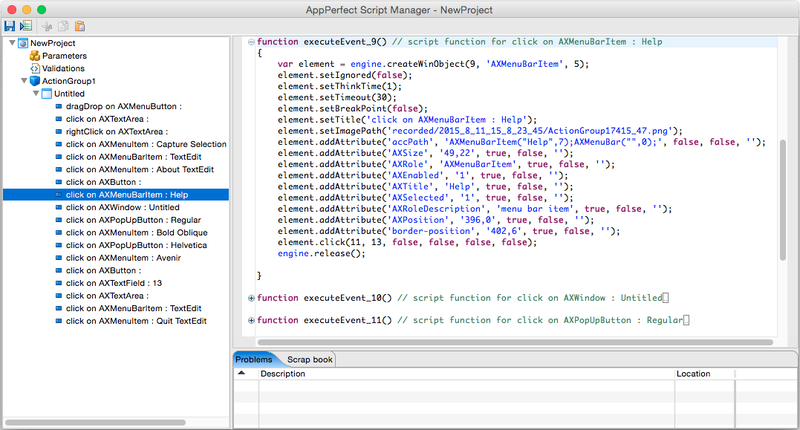 Scripting Support: For advanced user AppPerfect App Test provides scripting language support. 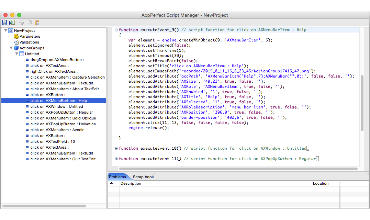 The scripting language used is simple java script, users can view/edit the functional test using script editor provided. 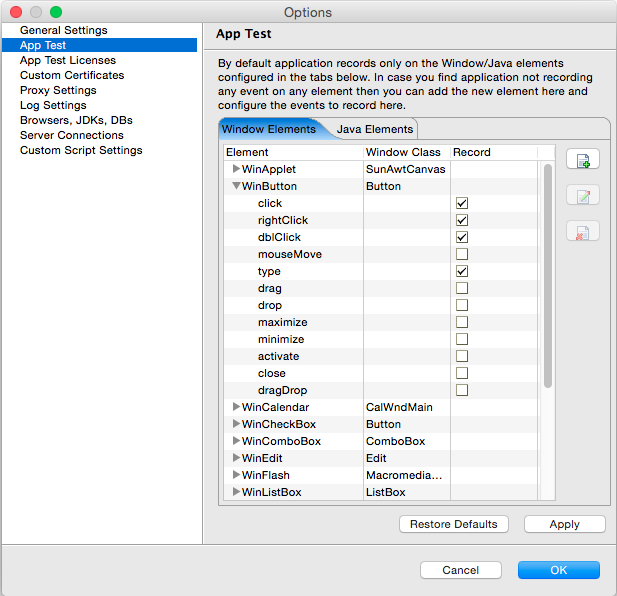 Users can customize a functional test as much as they want using java script. 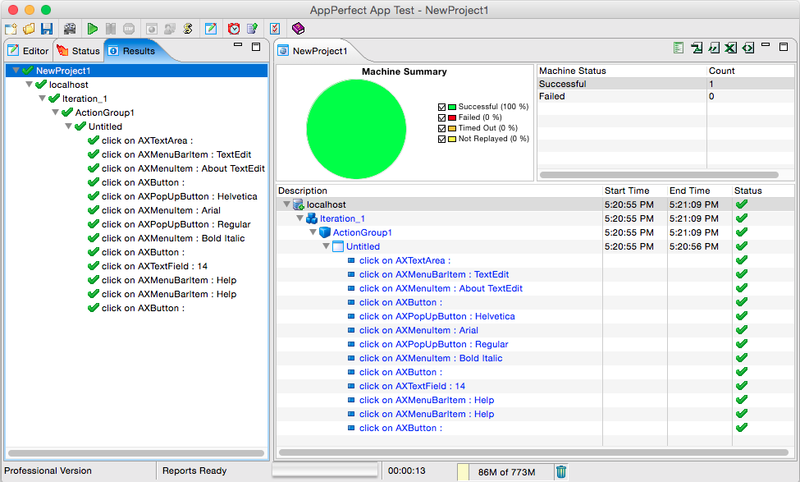 Informative and user friendly reports: AppPerfect App Test provides reports that help you pin point failure points of the functional test. 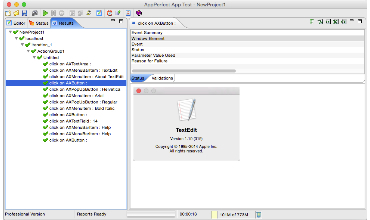 These reports are available through the UI and can be exported into various formats like HTML, PDF, CSV, XLS, XML etc. 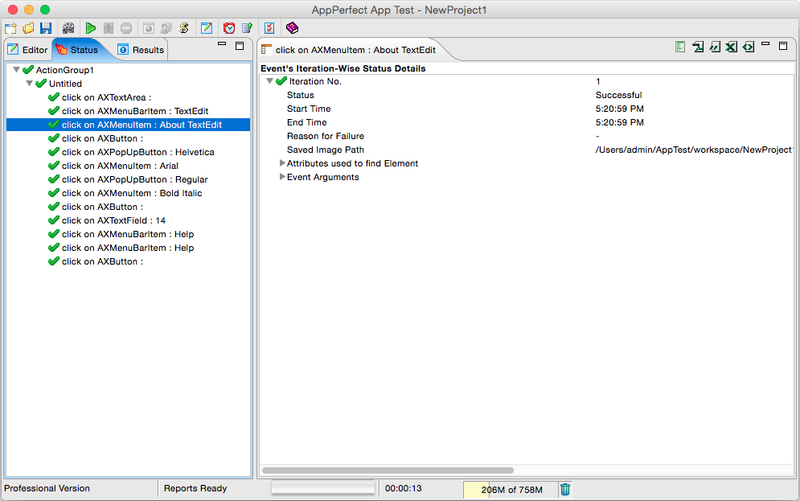 Scheduling and Notification: You can automate your testing by scheduling them using the Test Manager product. 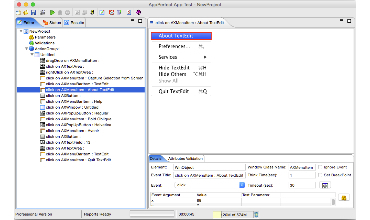 You can also use the Notifications manager module of the Test Manager product to send an email, SMS or file notification when a test is complete.